We are an Events Management company based in North London. We support our clients by organising their events and providing advice. Our services include full party planning, decor design and inspirations, venue finding and prop hire. We create corporate events such as team away days and summer/Christmas parties. 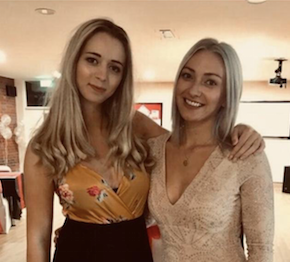 After graduating in Events and Business Management we both worked hard in the corporate hospitality industry and made the connections we needed to. In 2018 we started ‘Events by Finesse’ and haven’t looked back since. We thoroughly enjoy turning peoples visions into reality, getting creative with ideas and making sure we deliver above and beyond expectations. ‘Finesse’ means skill and style, and we truly believe that we bring both these elements to all of our events. Please visit www.eventsbyfinesse.co.uk to find out more. Our business networking event in Barnet runs on the second Thursday of every month, from 10am – 12 noon.